Because you can't get enough heat in your meat. Chilly weather got you jonesin’ for that summer barbecue fix? Do it right before the snow rolls in by passing on the pre-made patties and opting for these Southwest (and Rachel Ray)-inspired burgers. Once you cut them in half to reveal a mosaic of 0f peppers, onion, garlic, herbs and spices set in ground beef, you won’t be able to go back (unless of course you want pre-made beef hockey pucks). Get even more thunder from down under with these optional condiments and fixings such as tobasco-infused ketchup, yellow mustard or sweet red pepper relish. 1. 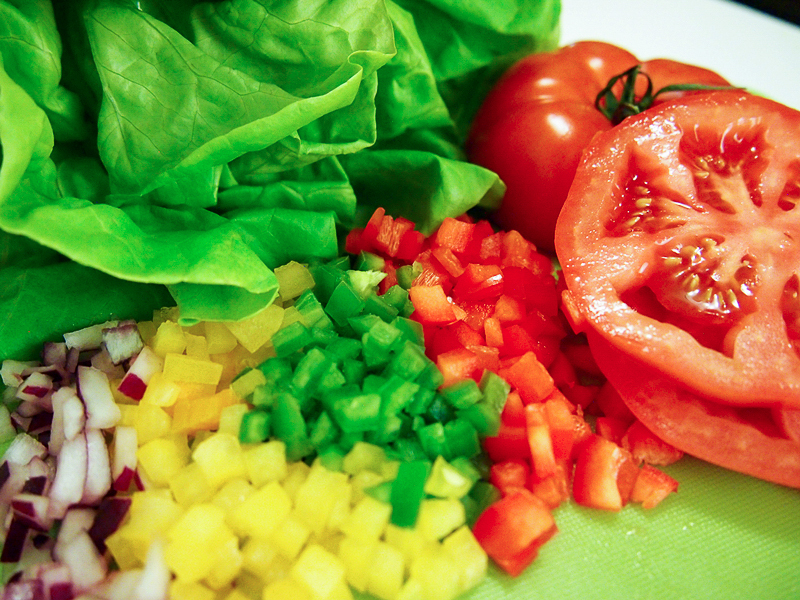 Finely chop onion and peppers. Mince garlic. 2. 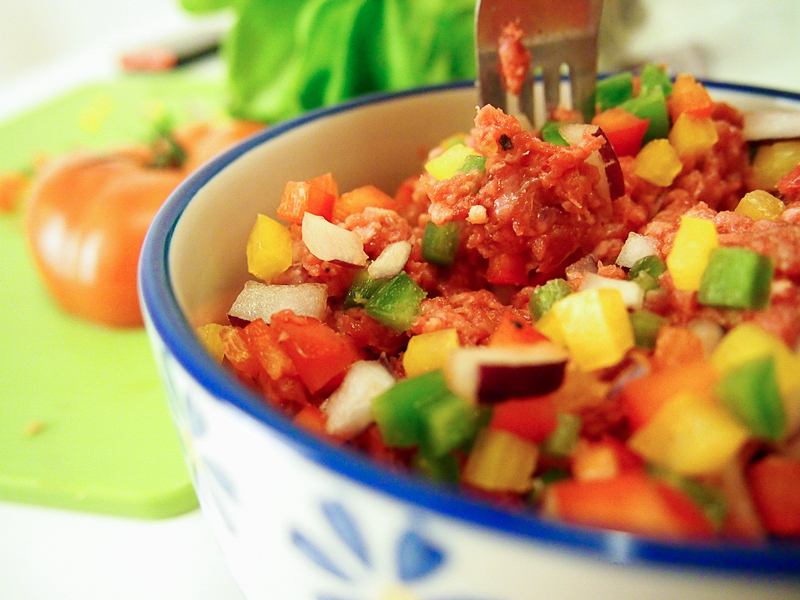 Combine ground beef, onion, peppers, garlic, cilantro and spices in a bowl. 3. 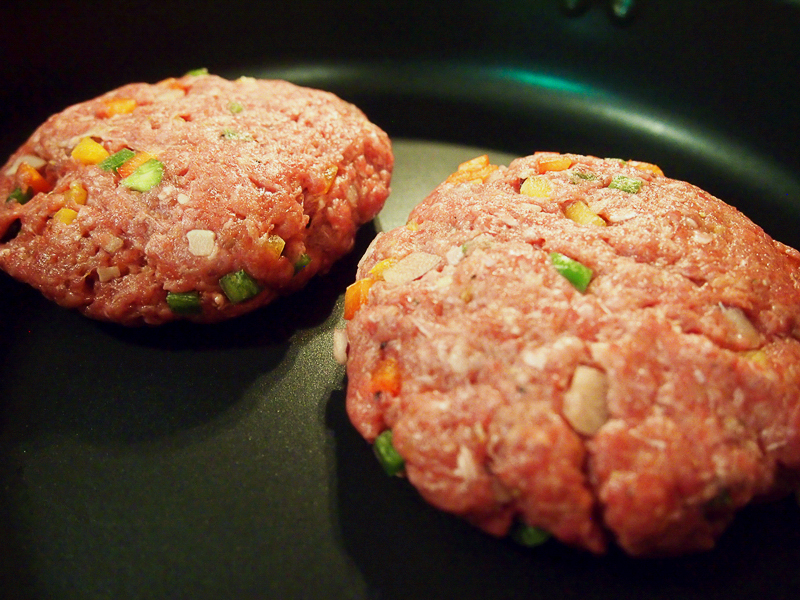 Form patties slightly larger than buns since they shrink slightly when cooked. 4. Grill for 3-5 minutes on each side or pan-fry over medium-high heat for 5-6 minutes on each side. 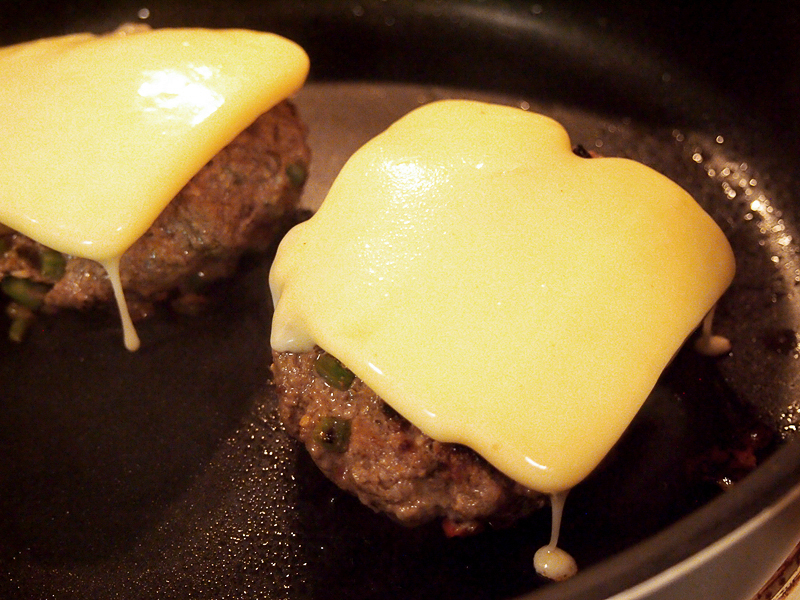 Place cheese over burgers in the last 2 minutes of cooking for the perfect melt. 5. 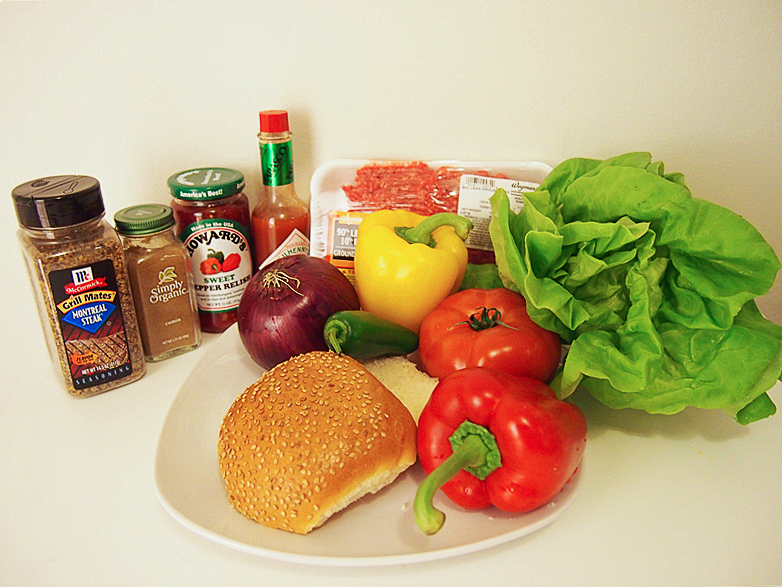 Let cooked burgers rest on a clean plate for 5 minutes before assembling with lettuce, tomato and condiments.